Requirements on FHA Cashout Refinance Mortgage Loans is different than any other mortgage loan programs. Here are the guidelines for FHA cashout refinance mortgage loans. Borrowers for FHA cashout refinance mortgage loans need at least a six-month mortgage payment history if it is a recently purchased property. If the homeowner has owned the subject property for less than 12 months prior to applying for FHA Cashout Refinance Mortgage Loans, the Loan to Value and/or Cumulative Loan To Value (LTV/CLTV) is capped to the lesser of the subject property appraised value and/or the original purchase price of the property. If a homeowner decides to occupy a property that was formerly used as an investment property, the loan to value capped will be limited to 85% Loan To Value and/or Cumulative Loan To Value. New secondary and/or subordinated financing on the property is not permitted. However, if there is an existing subordinate loan to lower the total indebtedness is not considered a new subordinate lien. This may be subordinated under HUD Guidelines. VA Loans allow 100% LTV cashout refinance. USDA does not allow cashout refinance. 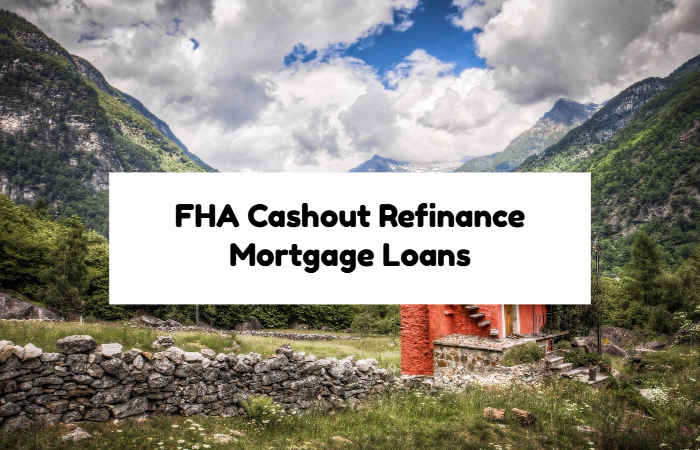 Borrowers who have more questions on doing a cashout refinance on their homes, please contact The Gustan Cho Team at Loan Cabin at 262-716-8151 or text us for faster response. Or email us at gcho@loancabin.com.